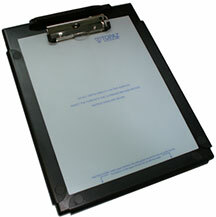 Topaz Clip Gem - T-C912-B Digitizer, Stylus 8" x 10", electromagnetic, wired, serial interface. ClipGem is a letter- or legal-sized electronic signature capture clipboard for use wherever one party desires a paper copy or receipt in addition to an electronic copy. Thin and lightweight, ClipGem signature pad is a great choice for use in the field as it is powered only by your computer's data port. The Topaz Z-T-C912-B1-R is also known as Topaz Systems	Z-T-C912-B1-R	or ZTC912B1R	.